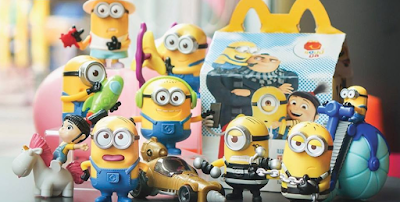 Despicable Me 3 will be shown in all theaters starting June 14 and McDonald's is releasing the movie related toys for their Happy Meal. This movie related theme will consist of ten toys including eight Minions, Agnes in Unicorn and a Despicable Duo featured in the movie. Despicable Me 3 Happy Meal is now available at your favorite McDonald's stores nationwide. Each Happy Meal comes with one of your favorites from McDonald’s – Burger McDo, Hamburger, Chicken McDo, McSpaghetti or 4pc Chicken McNuggets meal and a toy. You can also order the meal thru McDonald's delivery hotline 8MCDO (8-6236). With every Happy Meal purchased, 50 centavos go to Ronald McDonald House Charities (RMHC) and its programs – Bright Minds Read Program, Bahay Bulilit and Bigay Tulong. If you are a fan of the movie, time to rush to your nearest McDonalds to collect all ten toys. 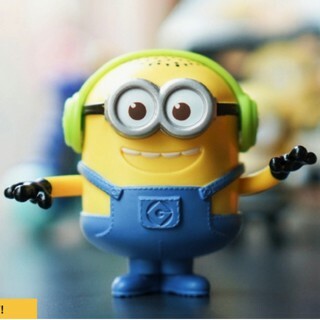 Despicable Me 3 toys will be available starting May 31.